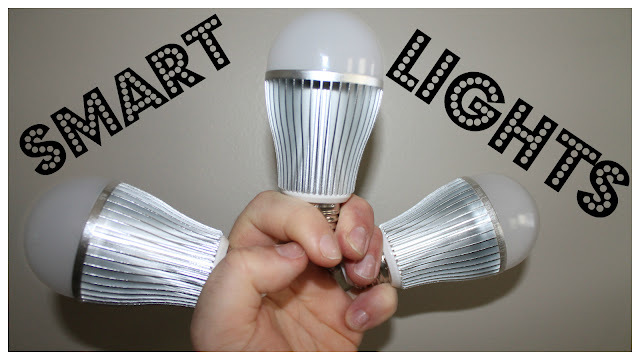 Check out this awesome smart lighting solution for your home. This is the latest addition to the Simple Suburban Living smart home and we absolutely love them so far! These WiFi LED lights from ambiLite are easy to setup and can be used in any standard socket (U.S). The Simple starter kit that I have comes with 3 LED lights and the control module (Genie) that connects them to your home WiFi network. The range on the Genie seems to be pretty good and can easily reach from the top floor all the way to lights in the basement with no delay. The app also lets you control the brightness of the bulbs and for all of the controls you can group bulbs together or control up to four individually. the response of the controls is instant even if you are controlling them from away from home. All in all these are the best value on the market for the features and easy of use. The kit can be added on to with the full range color Nabe set or more of the Simple bulbs as I have here. I will also be combining these with other smart home products for more control including motion, alarm systems etc. so stayed tunes for those products and videos in the future.